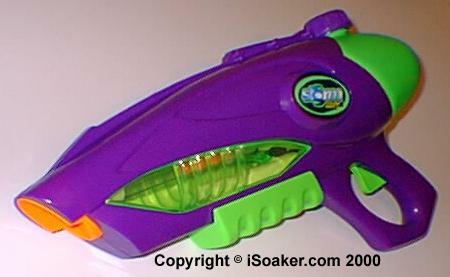 The Storm Series of Blasters NOT BY LARAMI was Trendmasters attempt to make a water gun series. While the storm are very bad and expensive, they are probably runner up in all water guns. A some what dumb feature of the Storms are that they have a red beam that lights up the stream of water, a very dumb idea for a night fight.